Between 2015 and 2017, Hazony and his colleagues Joshua Weinstein and Rabbi Raffi Eis led a wide-ranging project to promote new work in Jewish theology and philosophy — supporting the work of leading scholars and gathering academic and religious leaders for conferences to advance Jewish theological and philosophical inquiry. Hazony continues: “None of us receives the complete divine revelation directly from God. So how do we receive it, and how are we supposed to understand the content of what it is that we’re receiving?” Hazony believes that asking those questions means clarifying one’s thoughts both about what happened at Sinai and how that informs Jewish understanding of other prophecy. The Jewish Philosophical Theology project also provided funding for several books in progress, including volumes forthcoming from Oxford University Press on Jewish theology by Vanderbilt University philosophy professor Lenn Goodman and University of Waterloo Jewish studies professor Jim Diamond. During the project, Hazony himself published, God and Politics in Esther, which includes several chapters on Biblical theology and the emergence of key ideas about God and God’s nature in history. 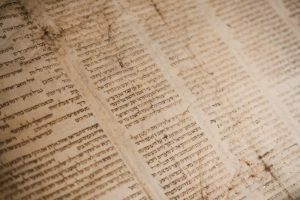 Beyond the published works, Hazony hopes that the current investment in Jewish philosophical theology will yield lasting fruit. “We would like to contribute to a revival of theological education among professionals teaching Torah and Judaism, and see it trickle down to the schools and the way that Judaism is taught,” he explains. Visit the Jewish Philosophical Society website.